Diarrhea Planet’s third album, Turn To Gold, is their cleanest and most cohesive project to date. The Nashville rockers stay true to their taut, acid-flecked turbulence but still manage to dive into some serious rock depths. As guitarist (one of four in the band) Brent Toler reveals, their growth is merely par for the course. “It’s just one of those things where we wanted to improve on what we’ve already put out. We are a bit more mindful about songwriting and production. Every [band] aims to step up their game a bit.” And Turn to Gold, which was released in June, achieves this almost effortlessly; Diarrhea Planet simply bask in their own effervescence. While their debut album, Loose Jewels, displayed infinite promise in its simplicity, their follow-up effort I’m Rich Beyond Your Wildest Dreams provided an endless arsenal of galloping riffs and high-octane drum pummel. Turn To Gold is a culmination of the band’s low-slung, fuzzed-out exuberance with clear-eyed, full on sophistication. It’s more than naturally anticipated musical maturity–it is Diarrhea Planet’s way of metaphorically etching their name in the sand. “Bob Dylan’s Grandma” flourishes in subversive pop highs while “Life Pass” is unapologetically crisp and lean. Toler explains that their approach to recording has drastically changed over the years. “I’m Rich was actually the first time we recorded together in the same studio. For the first album, we did our parts totally separate. It’s fun to experiment in the studio, but it’s completely different.” His elaboration on the subject reeks of poignant optimism. “Recording all the songs for this album…they were all fun. I lean toward songs that are a little more fleshed out, but everything in the studio went smoothly. We were all hyper focused on what we were playing and playing it perfectly.” Despite the success of Diarrhea Planet, Toler still knows the importance of being a band that was born and bred in Nashville. The most refreshing facet of Diarrhea Planet is not only their stylistic flexibility, but their knack for being unpredictable. There is no token sound they adhere to, no guidelines they abide by. This has only worked in their favor. Rolling Stone labeled them as perfect outliers in the “muck rock cosmos,” NPR declared that they have a “propensity for chaos” that ultimately leads to catharsis, and Pitchfork is enamored with their ability to be a “memorable, messily great live band.” What is truly astounding about Turn To Gold is the impassioned earnestness that all of the members still possess. It also comes off as less like a graceful victory lap and more like a wistful foray into more exploratory dynamics. The record doesn’t have a single inflection or cadence–it has a plethora to choose from. Songs are executed in barrel-chested growls, then possess more restrain and agility. Diarrhea Planet are the perfect mixture of classic rock acolytes meets indie-rock sensibilities. They are a band who make music, well, for simply the sake of making music. Their genre-melting party, which primarily consists of dreamy guitar bliss and boisterous and blistery basslines, has allowed them to gain traction in an industry that mimics Teflon in the sense that everything that tries hard to stick usually has limited or no success. Toler acknowledges the band’s fluidity and ultimately wants Diarrhea Planet to continue to produce music that is more mercurial than mundane. “There is no specific genre that Diarrhea Planet is shooting for. I think it’s kind of annoying to be labeled as one thing. I don’t like being labeled as only pop-punk but we do make high-energy pop music,” he states. What do you think of our interview with Diarrhea Planet? 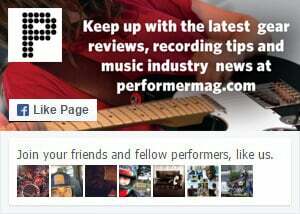 Let us know in the comments below or drop a line on the Performer Magazine Facebook page or on Twitter @Performermag. And be sure to read more artist features and interviews from Performer.